Over 60 years ago the Gele’ family started Professional Sport Shop, opening their doors to the fishing community around New Orleans, stocking the latest in tackle and doing rod and reel repairs. Today, Professional is one of the largest in house rod and reel repair centers in the south. It does warranty work for Shimano, Diawa, Penn, Garcia and is authorized for repairs on most other reel manufacturers. It is said that Professional is one of the best stocked independently owned tackle stores in the gulf coast for everything from inside speckled trout and redfish to offshore marlin, tuna and swordfish. 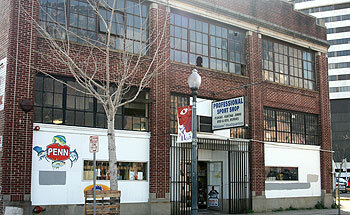 Today, Professional Sport Shop is located between the Superdome and the Convention Center in the heart of the CBD. It is still an independently owned and operated retail and repair shop-serving customers worldwide with their tackle needs. The sales staff is a team of experienced fisherman and fisherwomen that are ready to give personal advise to customer for all their fishing needs. We have so much confidence in our repair department that our motto is “If we can’t fix it, throw it away”.